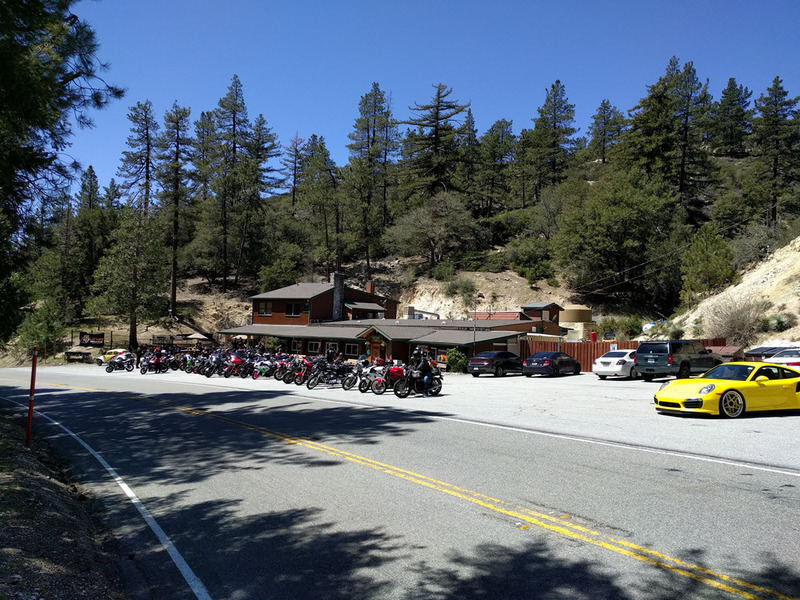 One of the joys of motorcycling is riding to a friendly biker hangout, getting some greasy food, meeting other riders and checking out the other bikes. This can be a little intimidating though, especially if you don’t know anything about the place and what kind of people hang out there. Here are some tips for making it happen. Don’t worry about whether or not they’ll like your bike. At most of these places, everyone is there just to hang out and have a good time. Unless you’re going to the wrong kind of biker hangout (you’ll probably notice right away if that’s the case), nobody really cares what kind of bike you ride. There’s usually a healthy mix of rides including some really weird ones, so just take a look around. Who knows, someone might actually be interested in your bike and want to ask you about it. That was the case the first time I went to the Rock Store near Malibu, California with my Suzuki SV650; I met a really cool military guy who was redeploying soon but just wanted to talk to anyone about their bike. Park where you feel safe. If you’re nervous about squeezing your bike in between 50 other bikes or parking on uneven surfaces, just find a safer spot away from the crowds. I was always nervous about slow speed maneuvering when I started riding, so I would just find a nice open area to park. I also dropped my R6 in front of dozens of riders once at Hell’s Kitchen in Orange County, so yeah, that didn’t help my confidence either. Park comfortably and safely. Ask people about their bikes. The best conversation starter is usually a question about someone’s bike, then you typically can’t get them to stop talking. It’s a great way to learn about other bikes, why people like or don’t like them, etc. You meet some really cool people that way, and everyone there is willing to talk bikes, otherwise they wouldn’t be there in the first place. I’ve had quite a few newbies come up and just start asking me about my bike, because they eventually want to move up from their starter bikes. Do a little homework about the place, peak times, check for events, etc. Sometimes these places are a little nuts depending on the day, time, and special events. Check Google, maybe the place has a Facebook page, etc. and just see what’s happening that day. Sometimes they get so crowded on event days that it’s hard to find a place to park (e.g. the Rock Store near Malibu, CA). Maybe Tuesdays are great because the road’s wide open, but the restaurant is closed and nobody’s there. Just see what you can find out before you visit. Order some food to support these places. Most of these hangouts aren’t exactly cash cows, so it’s important to show support by ordering some food (unless there’s a big red C in the window, haha). It’s nice to have these places around for those weekend rides, so throw a few bucks down for a burger and enjoy the view. Previous PostPrevious Wear earplugs. Seriously.